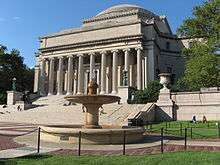 The School of General Studies is a highly selective liberal arts college and one of three official undergraduate colleges at Columbia University, situated on the university's main campus in Morningside Heights, New York. GS is known primarily for its traditional B.A. degree program for non-traditional students (those who have had an academic break of one year or more, or are pursuing dual-degrees). GS students make up almost 30% of the Columbia undergraduate population and have been known to consistently earn the highest average GPAs among undergraduates at Columbia University. Despite the relatively small size of the college, a disproportionately large number of GS alumni have gone on to win prestigious fellowships, including the Rhodes Scholarship, the Gates Cambridge Scholarship, and the Fulbright Scholarship. GS offers dual degree programs with Sciences Po in France, the City University of Hong Kong, and List College of the Jewish Theological Seminary. GS is the historical home to dual-degree programs at Columbia University—the school is the first undergraduate college at Columbia University to offer joint programs with other universities. GS is also home to the Postbaccalaureate Premedical Program. 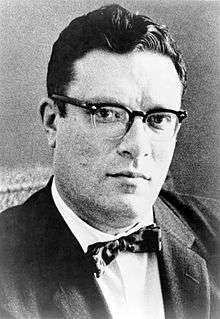 Notable alumni include Nobel Prize winners Simon Kuznets and Baruj Benacerraf, as well as Isaac Asimov, J.D. Salinger, Amelia Earhart, and Princess Firyal of Jordan. GS's evolutionary ancestor is Seth Low Junior College, which was established in Downtown Brooklyn to help alleviate the flood of Jewish applicants to Columbia College. The entrance requirements for Seth Low Junior College were reportedly the same as those enforced in Columbia College. Following completion of the two-year program, graduates could complete their undergraduate educations at the University's professional schools (many of which still conferred terminal bachelor's degrees) or earn B.S. degrees in liberal arts and scientific disciplines as University Undergraduates at the Morningside Heights campus; at the time, the University only conferred the B.A. to graduates of Columbia College. Seth Low Junior College was closed in 1938 due to the establishment of Brooklyn College in 1930 and the concomitant economic effects of the Great Depression. Henceforth, its remaining students were absorbed into Columbia's undergraduate population as students in the University Undergraduate program (previously, University Extension, which was established by Nicholas Murray Butler in 1904). With an influx of students attending the University on the GI Bill following the resolution of World War II, in December 1946, the University Undergraduate program was reorganized as an official undergraduate college for "qualified students who, because of employment or for other reasons, are unable to attend other schools of the University" and designated the School of General Studies as of July 1947. In December 1968, the University Council permitted GS to grant the B.A. degree. Despite the objections of some members of the Columbia College Faculty, the Board of Trustees authorized the decision in February 1969. In 1990, the Columbia College (CC), School of General Studies (GS), and Graduate School of Arts and Sciences (GSAS) faculties were merged into the Faculty of Arts & Sciences, which resulted in the complete academic integration between the School of General Studies and Columbia College. As a result, both GS and CC students receive degrees conferred by the Trustees of Columbia University through the Faculty of Art & Sciences, and GS is recognized as one of the two official liberal arts colleges at Columbia University, along with Columbia College. The School of General Studies confers the degree of Bachelor of Arts in more than 70 majors. All GS students are required to complete the Core Curriculum, which includes classes in Writing, Literature/Humanities, Contemporary Civilization/Social Science, Art Humanities, Music Humanities, Global Core, Quantitative Reasoning, Science, and Foreign Language. 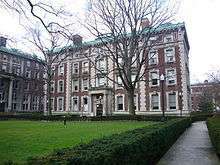 In addition to its bachelor's degree program, the School of General Studies offers combined undergraduate/graduate degree programs with Columbia's Schools of Law, Business, Dental Medicine, Social Work, International and Public Affairs, Teachers College, and the College of Physicians and Surgeons, as well as undergraduate dual-degree programs with the Columbia School of Engineering and Applied Science, the Jewish Theological Seminary, and the Dual BA Program Between Columbia University and the French University Sciences Po. Admission to Columbia GS is highly selective and "extremely competitive." Admission standards are among the highest in the nation: the SAT score range (25th-75th percentiles) for admitted students is 1330–1530 out of 1600 on the new SAT (680-770 on the Evidence-Based Reading and Writing Section and 650-760 on the Mathematics Section). The average GPA of admitted students is 3.9/4.0. Admission requires a formal application as well as submission of official SAT or ACT test scores, academic transcripts, essays, and recommendations; if the test scores are older than eight years, applicants may instead take the General Studies Admissions Examination. Interviews are conducted in person and on the phone. Eligibility for admission requires that applicants have taken a minimum of one year or more off from academic studies, or have extenuating circumstances which preclude them from attending Columbia College full-time. Prospective Columbia undergraduates who have had a break of a year or more in their education, have already completed an undergraduate degree, or are pursuing dual undergraduate degrees are considered non-traditional and are automatically ineligible for admission to Columbia College. GS students have the option to attend part- or full-time. The Dual BA Program is a unique and highly selective program in which undergraduate students earn two Bachelor of Arts degrees from both Columbia University and Sciences Po (one of the most prestigious and selective universities in France) in four years. The applicant pool consists almost entirely of high school students. Students spend two years at one of three Sciences Po campuses in France (Le Havre, Menton, or Reims), each of which is devoted to a particular region of the world. At Sciences Po, undergraduates can pursue majors in political science, economics, law, finance, history, among others. After two years at Sciences Po, students matriculate at Columbia University, where they complete the Core Curriculum and one of over 70 majors offered at Columbia. Graduates of the program are guaranteed admission to a Sciences Po graduate program. Simon Kuznets (1923), Nobel Prize-winning economist. Baruj Benacerraf (1942), Nobel Prize-winning immunologist. Edward Cecil Harris (1971), Creator of the Harris matrix. Roger Pilon (1971), Constitutional scholar and legal theorist. Alfred Appel (1959), scholar on Vladimir Nabokov. Philippe Reines (2000), Deputy Assistant Secretary of State for Public Affairs and Senior Advisor to Secretary of State Hillary Rodham Clinton. Mike Gravel (1956), Former United States Senator from Alaska and candidate for the 2008 Democratic nomination for President of the United States. Released full Pentagon Papers. Howard Dean (1975), Former Governor of Vermont and Chairman of the Democratic National Committee. Peter H. Kostmayer (1971), United States Congressman from Pennsylvania. Hunter S. Thompson*, (1958). Writer. Donald Clarence Judd (1953), Artist. John W. Backus (1950), Developer of Fortran, the first true computer language. Jane Jacobs* (1940s), author The Death and Life of Great American Cities, urban theorist and activist. Ira Gershwin* (1918), Pulitzer Prize-winning American composer. Pat Boone (1957), Singer and actor. 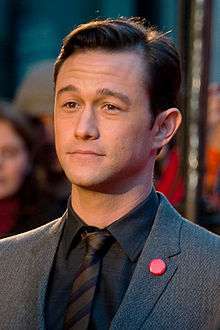 Jonathan Taylor Thomas (2010), Actor. Telly Savalas (1946), Actor, Emmy-award winner and Oscar nominee. Ossie Davis (1948), Actor and social activist, Emmy- and Golden Globe-award nominee. Donald Richie (1953), Film Critic. Anthony Perkins* (1950s), Actor and writer. Frank Sutton (1952), actor, Gomer Pyle, U.S.M.C. R. W. Apple (1961), The New York Times associate editor. Ray William Johnson* (2008), YouTube celebrity best known for his show "Equals Three"
Howard G. Chua-Eoan (1983), News Director, Time. Kimberly Navarro (2004), ice dancer, 2008 & 2009 U.S. bronze medalist and 2008 Four Continents bronze medalist. Gerard W. Ford (1957), Founder of the Ford Modeling Agency. Cameron Russell (2013), model and activist. Amelia Earhart* (1920), American aviator and early female pilot. John Tauranac (1963), Chief designer of the New York City Subway map of 1979. Josh Waitzkin* (1999), Child chess prodigy and author. Abby Stein (2014-), American transgender activist, Blogger, and speaker. ↑ Stand, Columbia: A History of Columbia University in the City of New York ... – Robert A. McCaughey – Google Books. Books.google.com. Retrieved 2014-01-05. ↑ "Columbia Daily Spectator 2 June 1942 — Columbia Spectator". Spectatorarchive.library.columbia.edu. 1942-06-02. Retrieved 2014-01-05. ↑ "Columbia Daily Spectator 10 December 1946 — Columbia Spectator". Spectatorarchive.library.columbia.edu. 1946-12-10. Retrieved 2014-01-05. ↑ "Columbia Daily Spectator 6 December 1946 — Columbia Spectator". Spectatorarchive.library.columbia.edu. 1946-12-06. Retrieved 2014-01-05. ↑ "Columbia Daily Spectator 19 December 1968 — Columbia Spectator". Spectatorarchive.library.columbia.edu. 1968-12-19. Retrieved 2014-01-05. ↑ "The Core | General Studies". gs.columbia.edu. Retrieved 2014-01-05. ↑ "Columbia University School of General Studies". Princetonreview.com. 2013-09-22. Retrieved 2014-01-05. ↑ "Program Overview | General Studies". Gs.columbia.edu. Retrieved 2014-01-05.